Modern technology has made it possible to sample Normalized Difference Vegetation Index (NDVI) across a range of scales both in space and in time, from satellites sampling the entire earth’s surface to handheld small sensors that measure individual plants or even leaves. 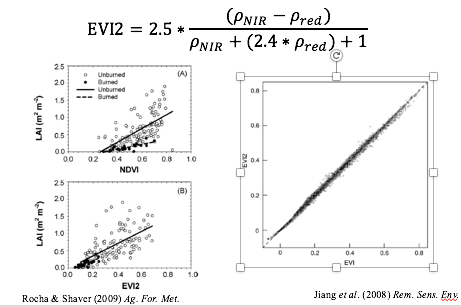 Figure 1: NDVI is sensitive to the amount of vegetation cover that is present across the earth’s surface. 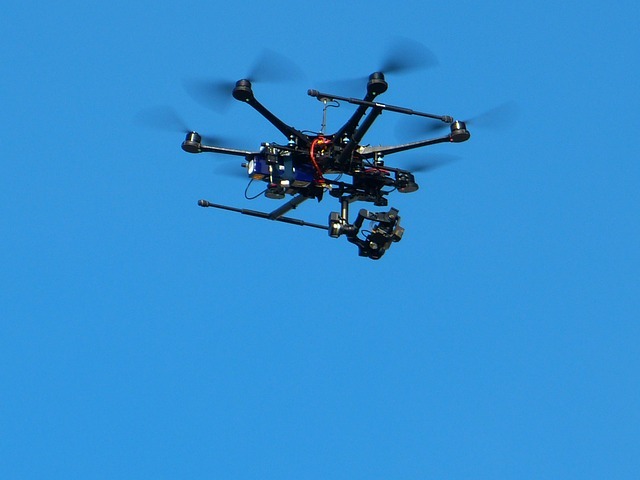 The broadest way to think of NDVI is data obtained from an earth orbiting satellite. In the figure above, you can see highly vegetated areas that have high NDVI values represented by dark green colors across the globe. Conversely, areas of low vegetation have low NDVI values, which look brown. NDVI is sensitive to the amount of vegetation cover that is present across the earth’s surface. How might NDVI be useful at the plot level? 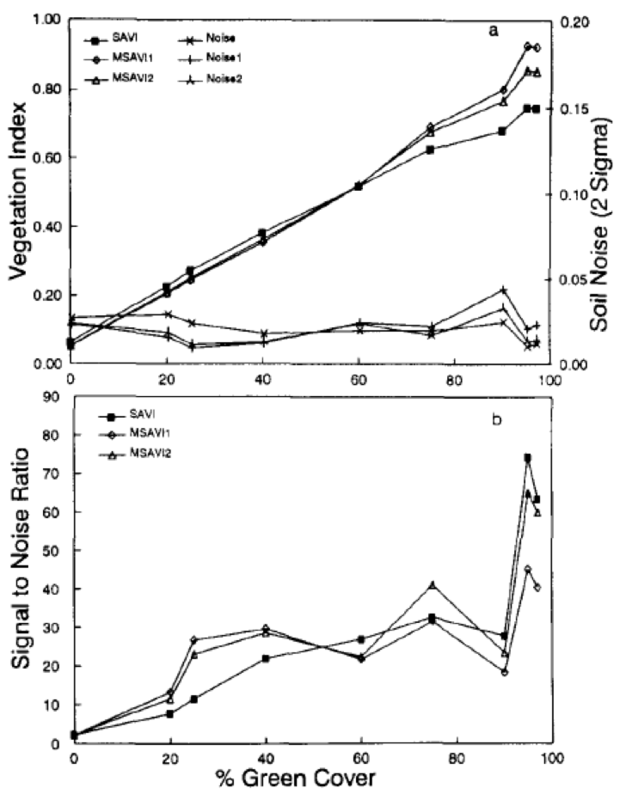 Figure 2 below shows a successional gradient where time zero is a bare patch of soil, or a few forbs or annual grasses. If we leave that patch of ground for enough time, the vegetation will change: shrubs may take over from grasses and eventually we might see a forest. 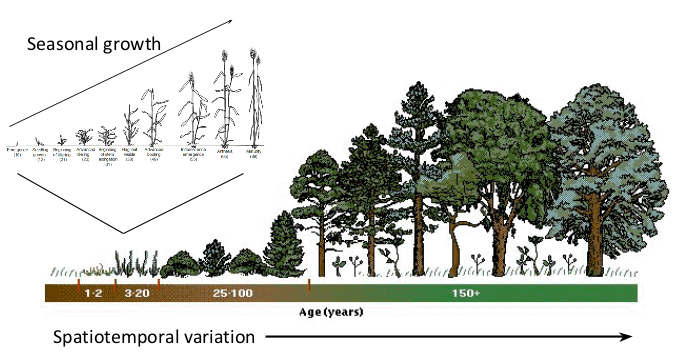 Across a large area, we may also move from grasslands to forest. In an agricultural system, there is yearly turnover of vegetation—from bare field to plant emergence, maturity, and senescence. This cycle repeats itself every year. Within these growth cycles NDVI helps to quantify the canopy growth that occurs over time as well as the spatial dynamics that occur across landscapes. So where does NDVI come from? In Figure 3, the x-axis plots wavelength of light within the electromagnetic spectrum; 450 to 950 nm covers both the visible region and a portion of the near infrared. On the y-axis is percent reflectance. This is a typical reflectance spectrum from green vegetation. 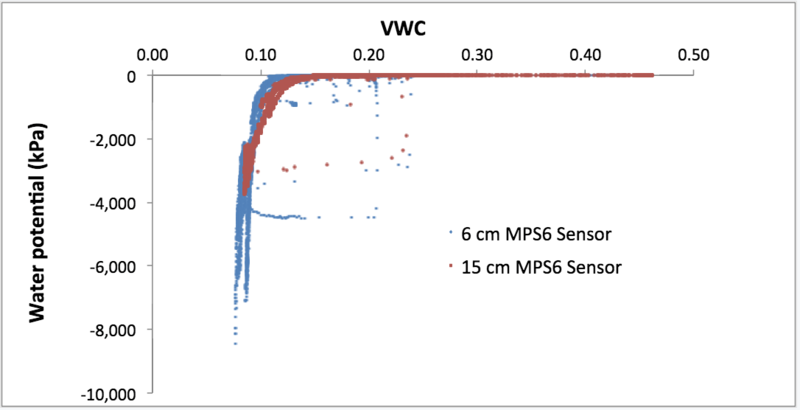 The green hyperspectral line is what we would expect to get from a spectral radiometer. Reflectance is typically low in the blue region, higher in the green region, and lower in the red region. It shifts dramatically as we cross from the visible to the near infrared. The two vertical bars labeled NDVI give you an idea of where a typical NDVI sensor measures within the spectrum. One band is in the red region and the other is in the near-infrared region. 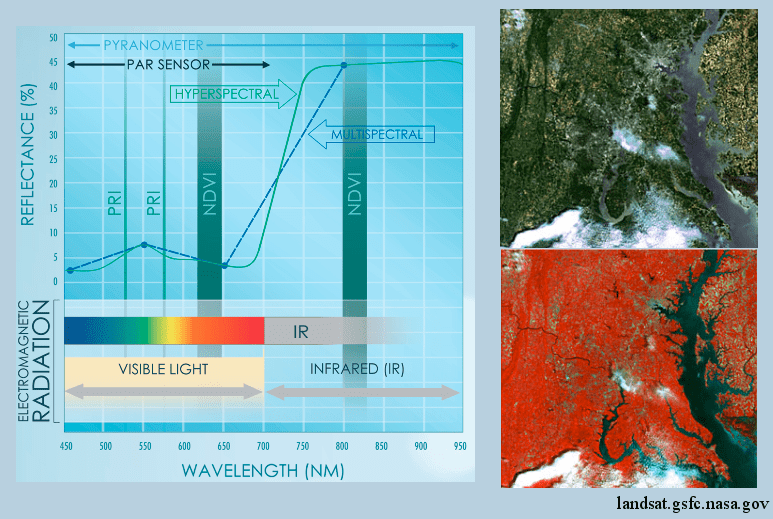 NDVI capitalizes on the large difference between the visible region and the near infrared portion of the spectrum. 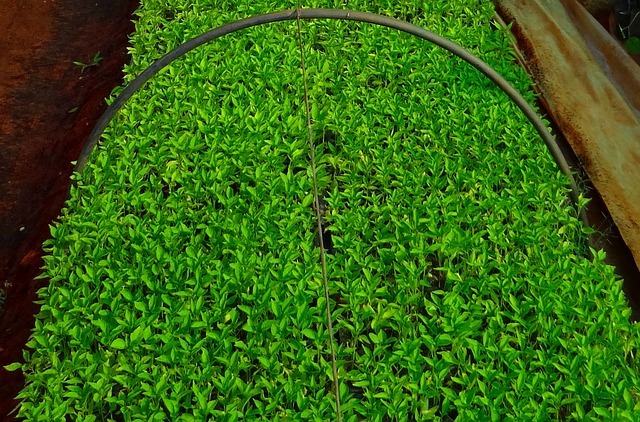 Healthy, growing plants reflect near-infrared strongly. 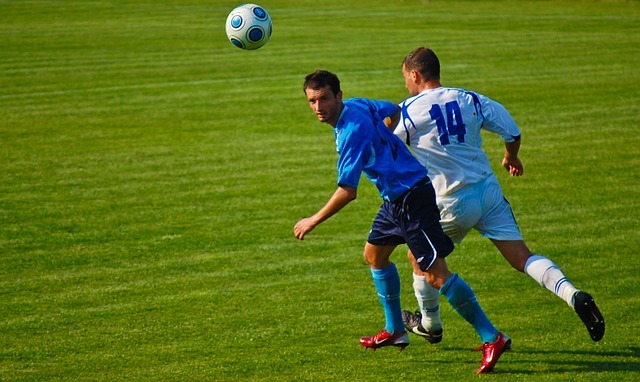 The two images on the right of the figure above are of the same area. The top image is displayed in true color, or three bands–blue, green and red. The image below is a false color infrared image. The three bands displayed are blue, green, and in place of red, we used the near infrared. The bright red color indicates a lot of near infrared reflectance which is typical of green or healthy vegetation. The reason NDVI is formulated with red and near infrared is because red keys in on chlorophyll absorption, and near infrared is sensitive to canopy structure and the internal cellular structure of leaves. As we add leaves to a canopy, there’s more chlorophyll and structural complexities, thus we can expect decreasing amounts of red reflectance and higher amounts of near-infrared reflectance. 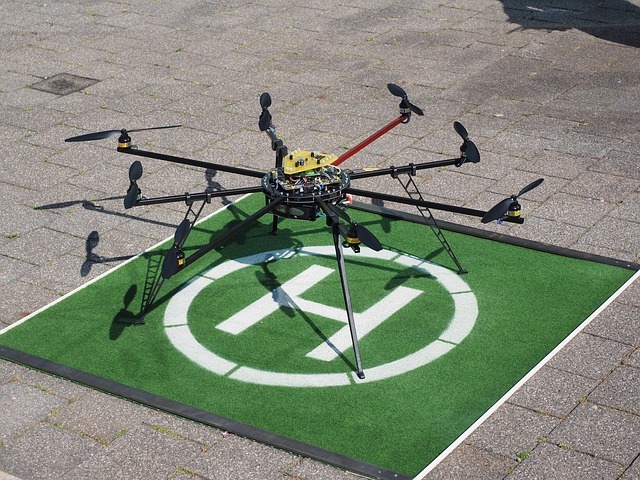 How Do We Calculate the NDVI? 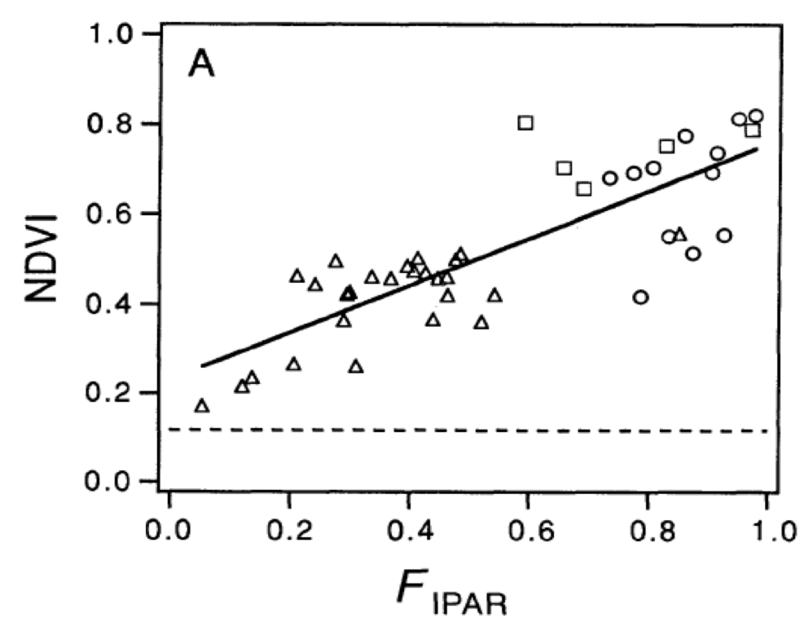 The Normalized Difference Vegetation Index takes into account the amount of near-infrared (NIR) reflected by plants. It is calculated by dividing the difference between the reflectances (Rho) in the near-infrared and red by the sum of the two. 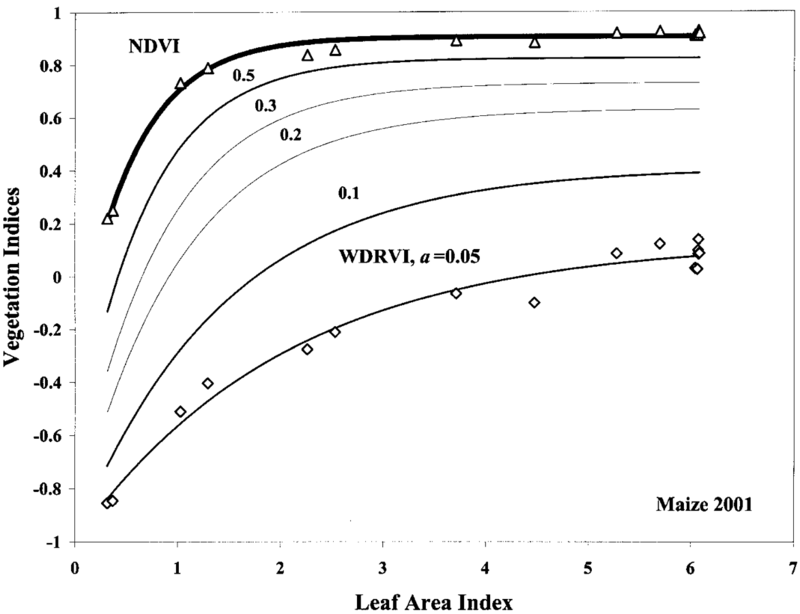 NDVI values typically range between negative one (surface water) and one (full, vibrant canopy). 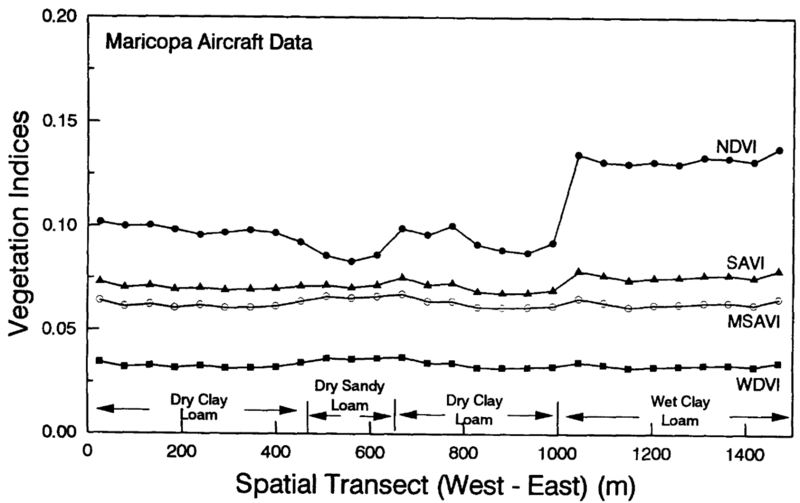 Low values (0.1 – 0.4) indicate sparse canopies, while higher values (0.7 – 0.9) suggest full, active canopies. The way we calculate the percent reflectance is to quantify both the upwelling radiation (the radiation that’s striking the canopy and then reflected back toward our sensor) as well as the total amount of radiation that’s downwelling (from the sky) on a canopy. The ratio of those two give us percent reflectance in each of the bands. Next Week: Learn about NDVI applications, limitations, and how to correct for those limitations. 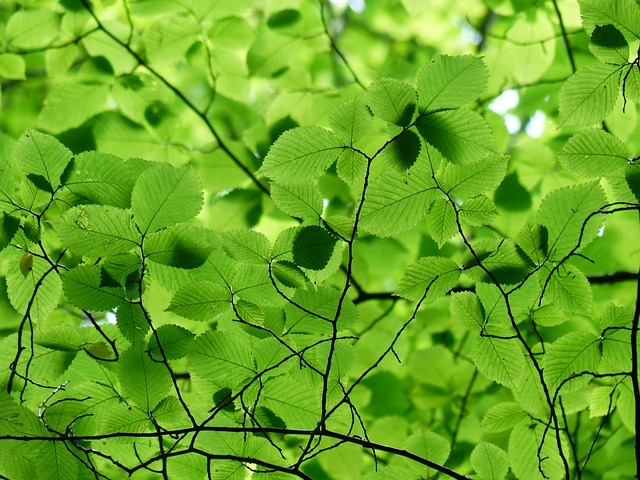 University of Georgia researcher, Shuyang Zhen, wanted to find out if she could optimize greenhouse irrigation with reference evapotranspiration calculated from environmental factors and a crop coefficient, using NDVI measurements to adjust for canopy size (see part 1). 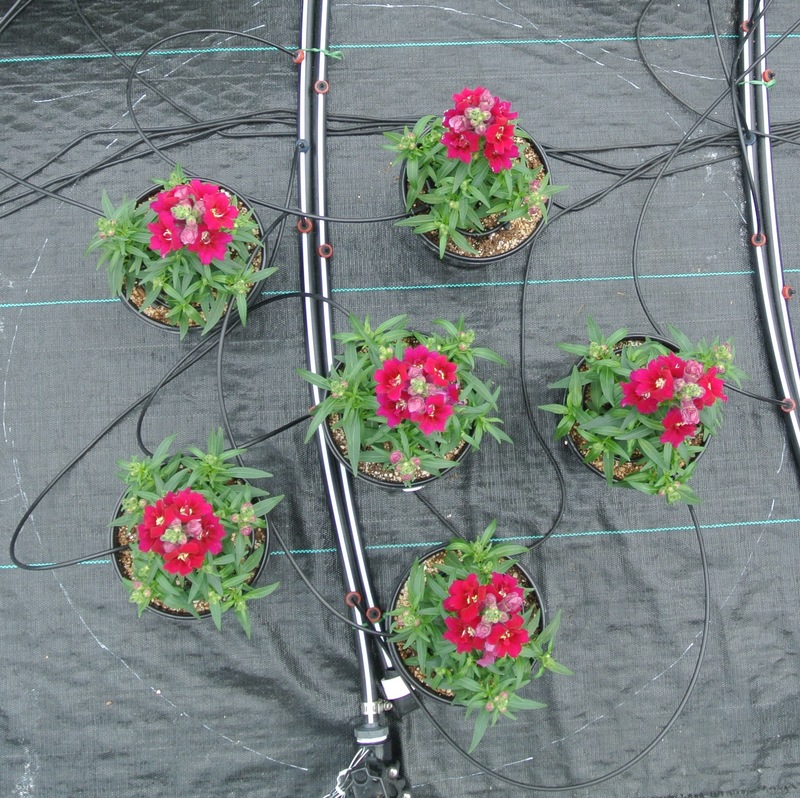 Learn the results of the experiment and how fast growth and flowering caused problems with the NDVI measurement. 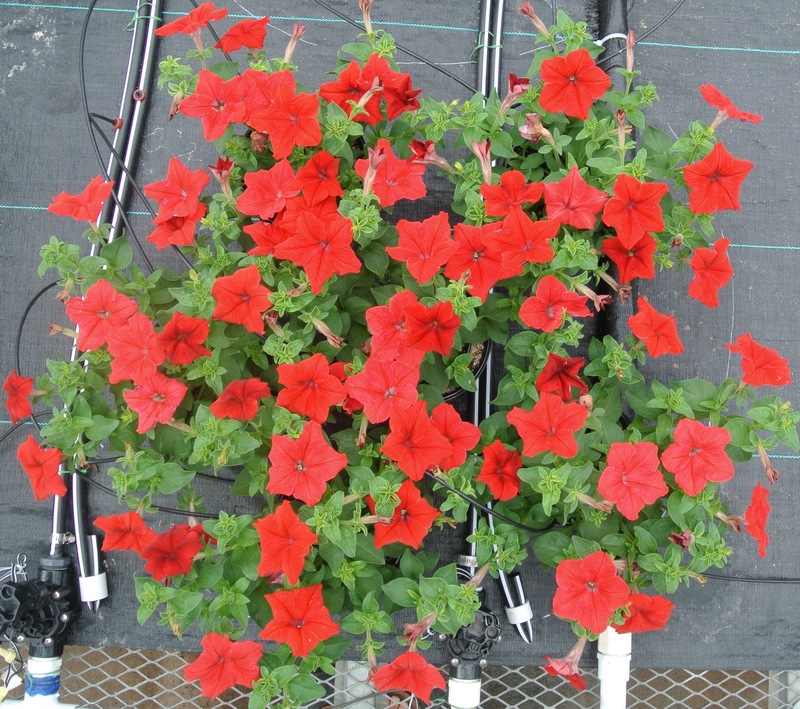 The red flowers reflected a lot of red light compared to the leaves, which confused the NDVI measurement. 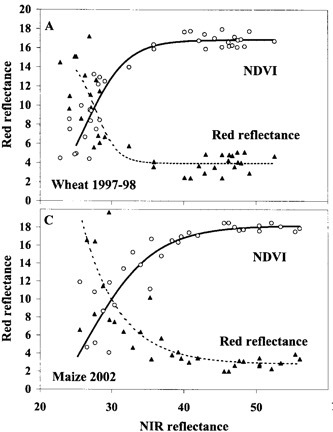 The NDVI was very sensitive to the increase in crop size when the canopy was relatively small, but when you reach a certain canopy size and the canopy closure was nearly complete, then the sensitivity decreased. Learn more about Shuyang’s work on the University of Georgia horticulture blog. 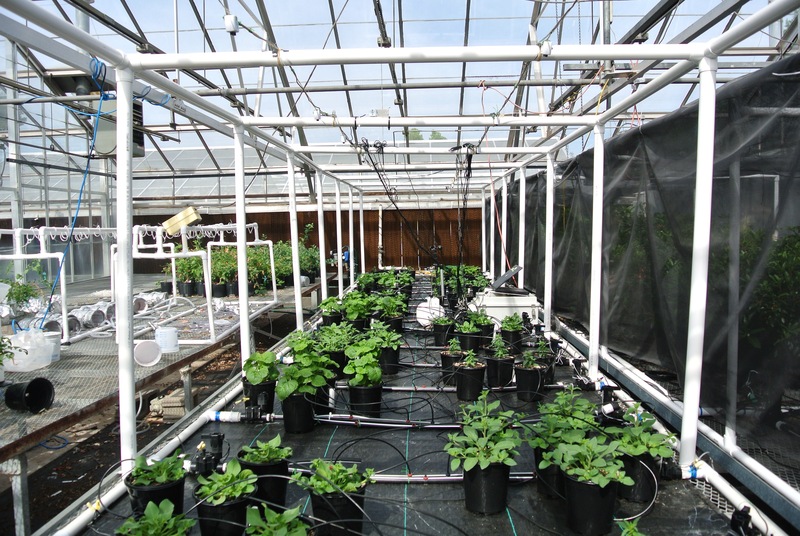 Greenhouse growers need irrigation strategies to maintain high plant quality, but it’s difficult to obtain quantitative information on exactly how much water will produce the highest-quality growth. 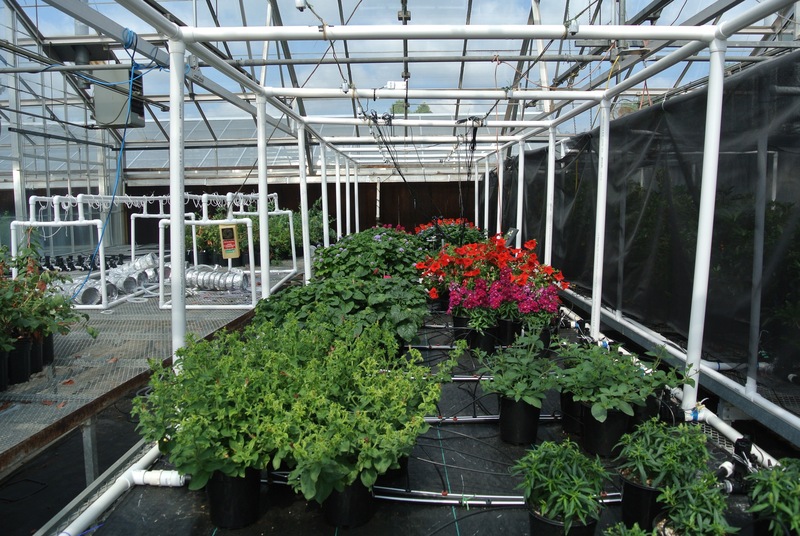 Greenhouse plant canopies are highly variable. 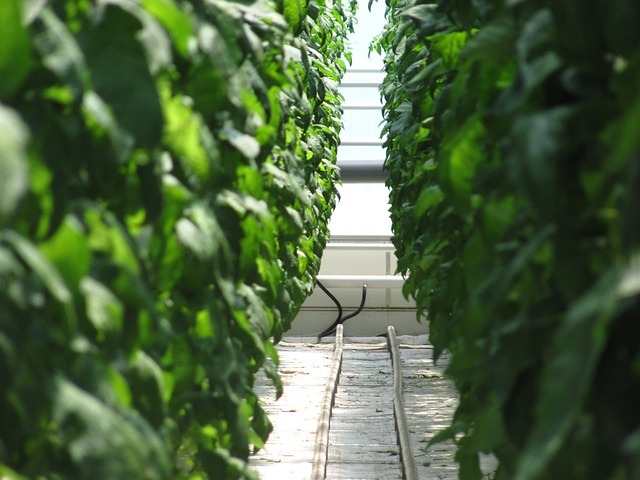 Estimating irrigation needs by using reference evapotranspiration calculated from environmental factors and a crop coefficient is standard for controlling field crop irrigation, but in a greenhouse this method can be challenging. 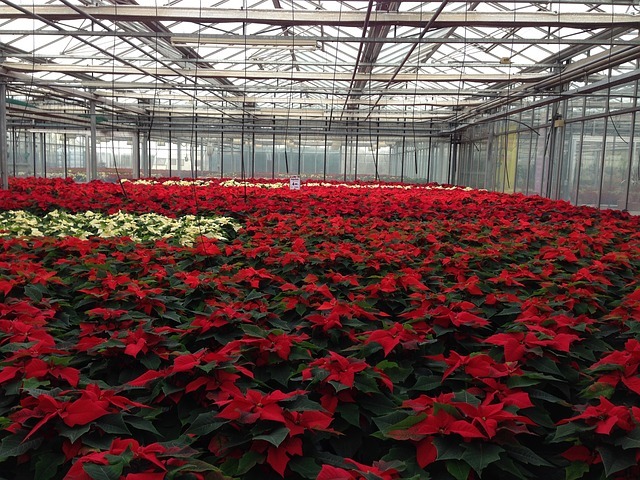 Greenhouse plant canopies are highly variable, and there’s limited information on the crop coefficient values for ornamental crops. 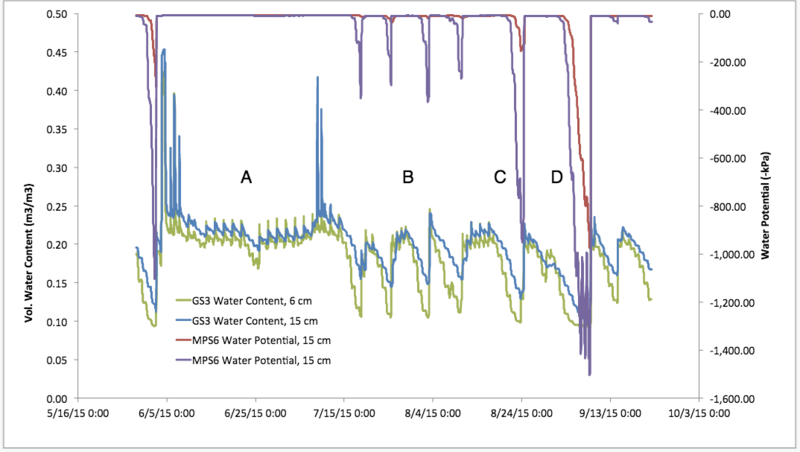 Researchers used a sensor-controlled automated irrigation system with soil moisture sensors. 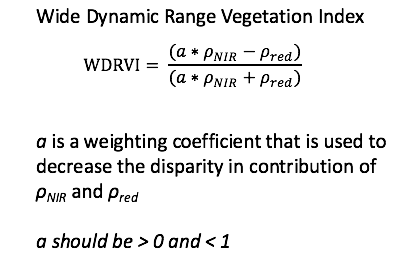 University of Georgia researcher, Shuyang Zhen, wanted to find out if she could solve this problem for greenhouse growers using NDVI measurements to adjust for canopy size. 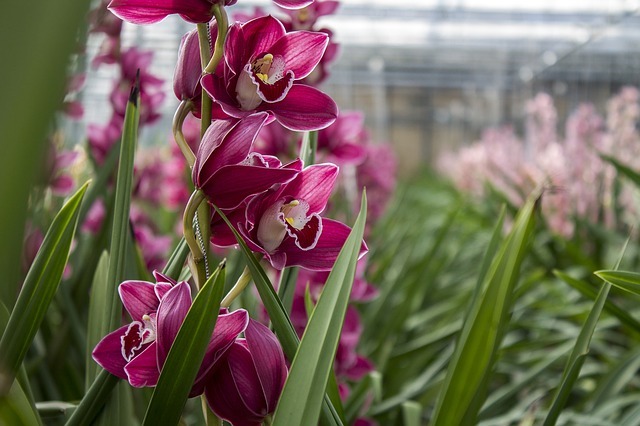 In a greenhouse setting, she and her team planted four types of fast growing herbaceous plants in small containers on top of greenhouse benches. 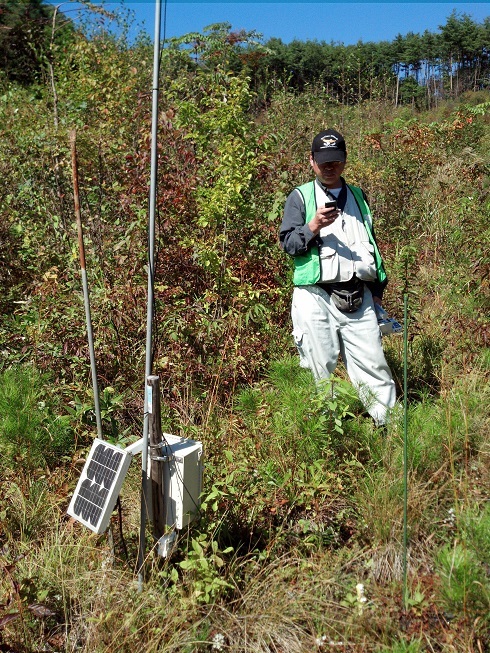 They set up a small weather station to monitor environmental parameters and used that data to calculate reference evapotranspiration. 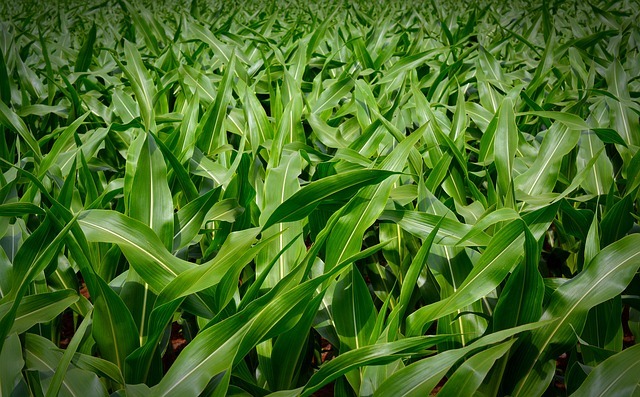 NDVI measurements are a non-destructive, continuous monitoring method to get information as to how big a crop is. Some species were more upward growing and some more sprawling. Next week: Learn the results of the experiment and how fast growth and flowering caused problems with the measurement. Could This Farming Practice Make Food Grown in Fukushima Safe? March 11, 2015 marks four years since the Fukushima disaster. What have we learned? Shortly after the Fukushima disaster, we donated some of our sensors to Dr. Masaru Mizoguchi, a scientist colleague at the University of Tokyo. He is using the equipment to contrive a more environmentally friendly method to rid rice fields in the villages near Fukushima of the radioactive isotope cesium 137. Over the last three years, government contractors removed 5 cm of topsoil from fields in order to extract the radioactive isotope. The topsoil has been replaced with sand. 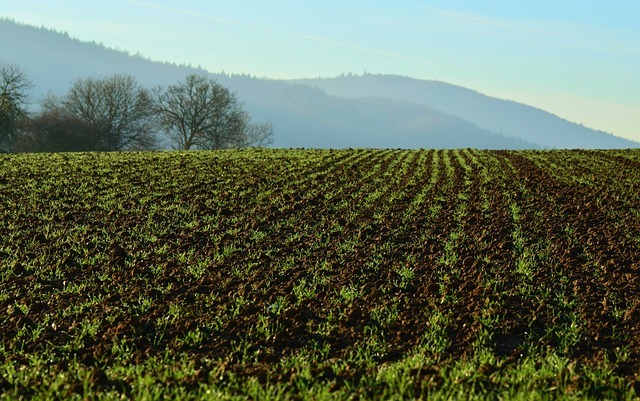 The problem with this method is that it also removes most of the essential soil material, leaving the fields a barren wasteland with little hope of recovery anytime soon. Topsoil removal may also prove ineffective because wild boars dig up the soil to root for insects and larvae. This presents a problem in the soil stripping method, as it becomes impossible to determine exactly where the 5 cm boundary exists. In addition, typhoons and heavy rains erode the sand surface raising safety and stability concerns. Currently, bags full of radioactive topsoil are stacked into pyramids in abandoned fields. An outer black bag layer filled with clean sand is placed around the outside to prevent radiation leakage. 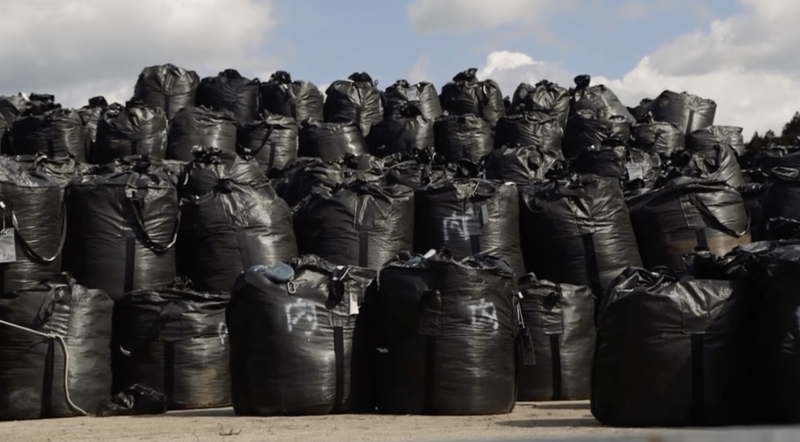 The government has promised that these bags will be removed and taken to a repository near the destroyed reactor, but many people don’t believe that will happen as the bags themselves only have a projected life of 3-5 years before they start to degrade. More of these pyramids are being built around Iitate village every day, which is a source of uneasiness for many people that are already cautious about returning. 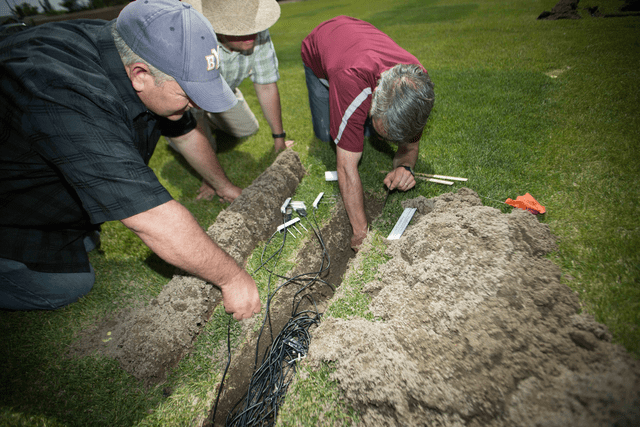 Dr. Mizoguchi and his colleagues have come up with a new “flooding” method now being tested in smaller fields that can save the topsoil and organic matter while at the same time removing the cesium, making the land usable again within two years. The new method floods the field and mixes the topsoil with water, leaving the clay particles suspended. Because the cesium binds with the clay, they can drain the water and clay mixture into a pre-dug pit and bury it with a meter of soil after the water has infiltrated. After one year of using this method, the scientists saw that the cesium levels in the rice had gone down 89%. And in situ and laboratory instrumentation have shown that two years after cesium removal, the plants’ cesium uptake is negligible, and the food harvested is safe for consumption. Incredibly, each weekend a volunteer organization of retired scientists and university professors use their own money and time to travel out to small village farms. 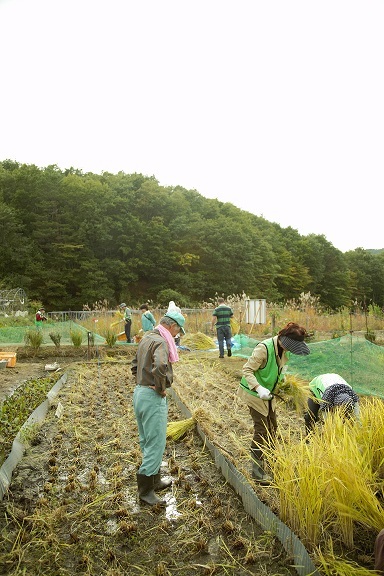 There they labor to rehabilitate the land using Dr. Mizoguchi’s method. One of the recipients of this selfless work is a 72-year-old farmer who took his nonagenarian mother and returned to their home to fulfill her heartfelt plea that she could live out her final years outside the shadow of a highrise apartment (see this story in the video above). We are honored to be a part of this humanitarian effort.